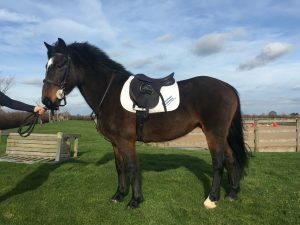 Description – Solero is a 13.3hh, 9 years old, bay, Trotter X mare. History – Solero arrived at Bransby Horses during 2014 after being found abandoned. 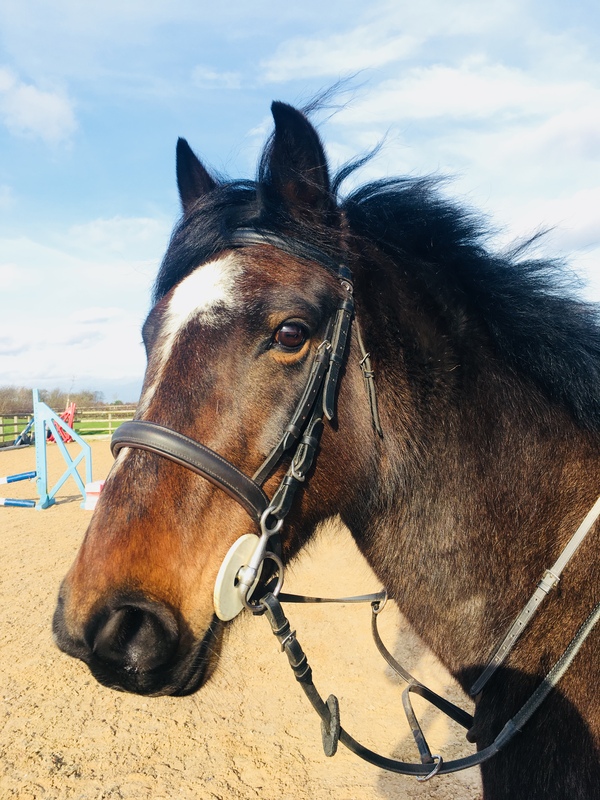 Behaviour & Handling – Solero is a sensitive mare who will need time to settle and bond within a one to one home. Once you have gained her trust she is eager to please and is learning quickly. Solero is showing a love for jumping although schooling isn’t her strong point. Perfect match – We believe a small, patient adult who can help guide and educate Solero would suit her best. Max. 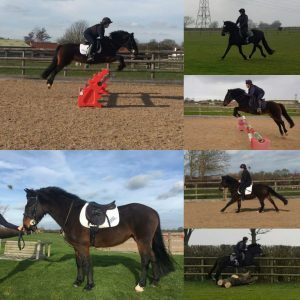 rider height 5’5″ max rider weight 10 stone. Stabling/shelter – Can live out all year round with a shelter and rug, is happy to stable too. Companionship – Solero likes to be top in the herd setting, she is happy to live with mares. Forage/feed – Currently on hay but may need extra feed with increased work. Rugs – Depends on clip. Feet – Barefoot, can be shy with farrier. Clip – Will need patience with this. If you could offer Solero the loving home she’s looking for, please click here.